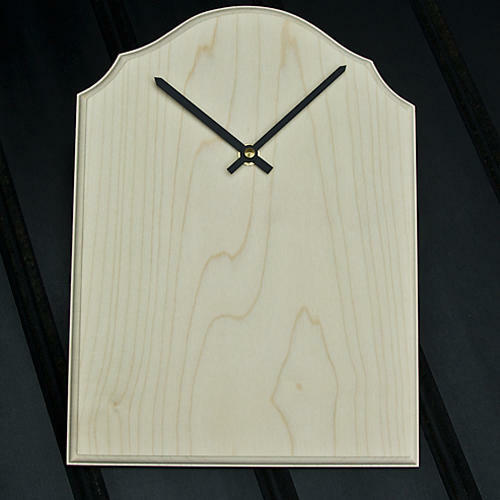 Our Sycamore large fancy topl clock pyrography blanks are made from Top quality fault free Kiln dried English Sycamore selected for its lightness of colour and it's close grain making it the perfect wood for burning. These oval blanks are hand made in our on workhops and are supplied with a quality german quartz clcok movement and plain black metal hands. 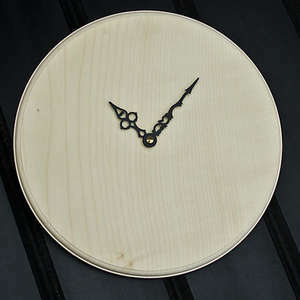 There is a good saving with this kit on the separate prices for the blank and the movement. They are perfect to decorte with pyrography or laser or even with any kind of stain or paint. The blanks are pre drilld with a 10mm hole for the quartz movement and they are 12mm 1/2 an inch thick.